Just a few days ago, on 9th September, the Senate has passes the new reform on the Sexual and Reproductive Health and Abortion Act. According to this, women between 16 and 18 years old will no longer be allowed to voluntarily interrupt their pregnancies; having to provide a parental consent, required by law, to access to a legal and safe abortion. This fact drive us back 35 years, to the law of 1985, and repeal the assumption on the law of 2010, in which all girls and women older 16 years old were free to decide and to access to a legal and safe abortion. 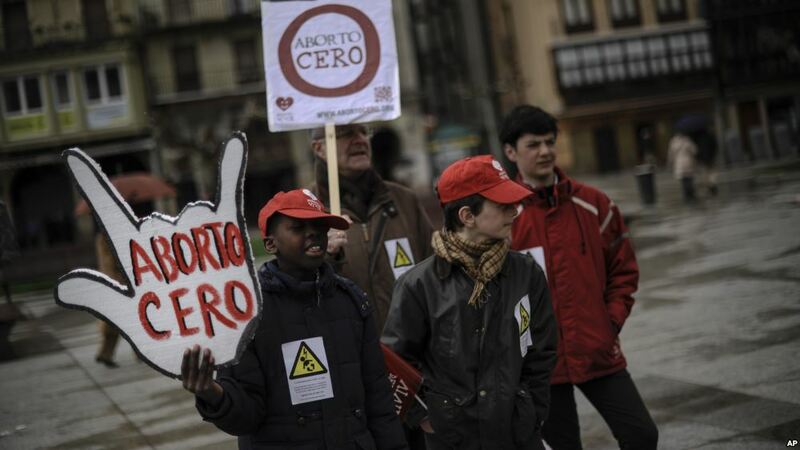 According to abortion clinics data, this new legal reform will affect more than 400 minor girls in Spain. Furthermore, it establishes a large step backwards on the Sexual and Reproductive Rights leaving unprotected and in a context of vulnerability to young women.